Stop the presses. An aggressive, strong, non-slow start from tip-off! The Jazz looked like a completely different team from the get-go, and it felt like the team we’ve been waiting for all season had finally arrived. There was a noticeable difference in Millsap, Al, and AK’s mentality. If they were within range, they went hard to the hoop for not just dunks, but hammer dunks. The hammers didn’t always go down, but it was great (and a relief) to see. For a stretch in the second, Jerry had Memo at the 5 and AK at the 4. I really like that Sap/Al-less lineup. The small ball lineup just flows better and pushes the ball more. A”ma”’r’e got into foul trouble and played limited minutes in the first half, but Bill Walker excelled in his role as unexpected Jazz opponent All-Star of the night. 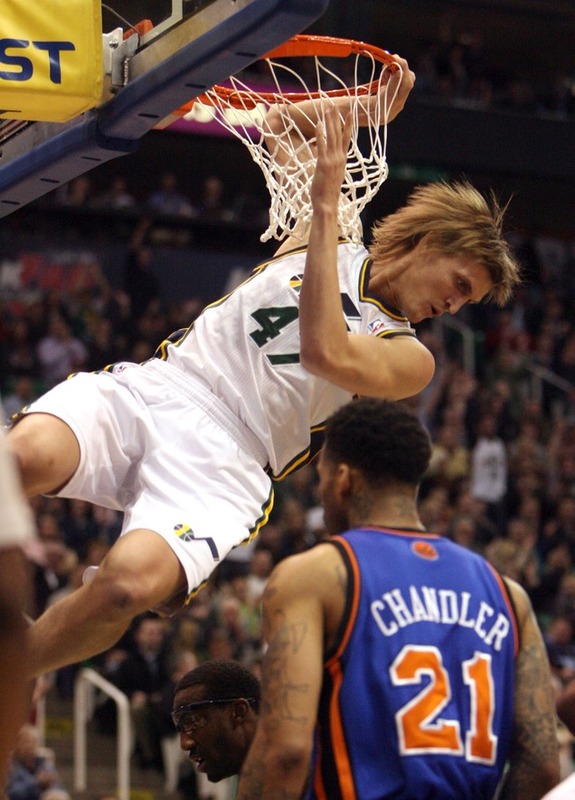 Jazz Nation–perhaps giddy and lightheaded from seeing the Jazz actually play well at home–decided to start celebrating the blowout win early in the 3rd quarter, and hence, the Jazz were jinxed. The Knicks hit 7 of 9 from three in the 3rd (5 of them by Shawne Williams in a 3:52 span), and the Jazz’s 16-point lead was cut down to 2 before the end of the period. After the starters pissed away the lead, Jerry came out with a lineup of Watson, Price, CJ, AK, and Memo to start the 4th. The results were just fantastic. Much like in the second, they ran, hustled, and pushed the ball. An AK dunk was followed by a CJ layup that was followed by a Memo dunk. They got the lead back into double digits in a little over four minutes, and while the Knicks kept it close the rest of the way, we got a more-than-nice home win at the end of the night. 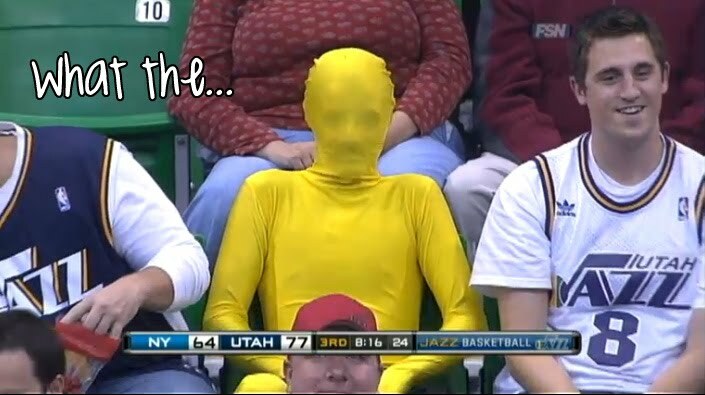 Tonight, we saw what happens when the Jazz make the extra pass. It showed in the box score with the even scoring (7 players in double digits), and assists (31). They were passing the ball not just around the perimeter, but inside down low. Defense led to transition points, and cutting led to easy buckets. 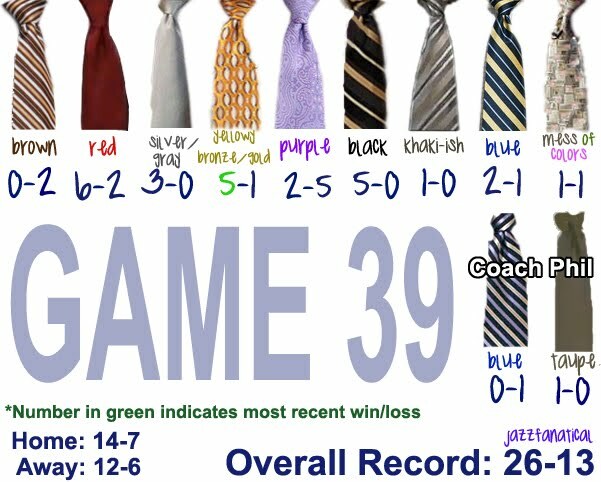 The boys did a great job of not settling for jump shots (54 points in the paint), and no one was trying to do too much. We also saw what happens when AK gets significant minutes at the 4. He was efficient; he was dunking; he was involved and facilitating (7 assists); and he didn’t take any 3-point shots (6-10 on the night). Also of note was that Jerry elected to go with the hot hand–a sporadically hot CJ–down the stretch. He closed the game with a lineup of Deron, Raja, CJ, AK, and Al, and Millsap didn’t play in the 4th quarter. (If this was due to Millsap’s hip, disregard this entire paragraph). Final thought: I don’t think that all our woes are over. Several players in the post-game attributed the quick start to the Knicks forcing them to come out at a faster tempo, rather than it being something that they consciously tried to do. Still, great win by our now low standards. ** Memo said during practice, and reiterated after the game, that the good thing about his back injury is that he’s no longer thinking about his leg. “Knock the wood, I’m feeling good now.” :) I was so happy for Memo. In all his interviews, you can hear in his voice how badly he wants to be playing. He’s always saying, “I just want to play basketball.” Tonight, his shots were falling. Even the no-chance-in-hell falling-back fadeaway went down, and he had a dunk and a three as well. It felt good to see him feeling good. Memo also said, regarding AK becoming a U.S. citizen, that he’s happy for AK and that he’s about to get his Green Card. 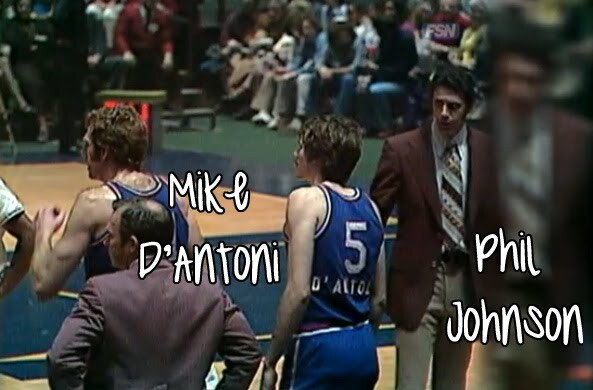 ** Mike D’Antoni played for Phil Johnson when Phil was with the Kings, and was on the roster the year Phil won Coach of the Year. ** The Jazz scored 30+ in the first quarter for the first time since 12/10 at Orlando (53% shooting and only 2 TOs); 60 in the first half for the first time since 11/29 vs. Milwaukee; 65 points in the first half, which was the most since 11/3 vs. Toronto; and hit 100 by the end of the 3rd. 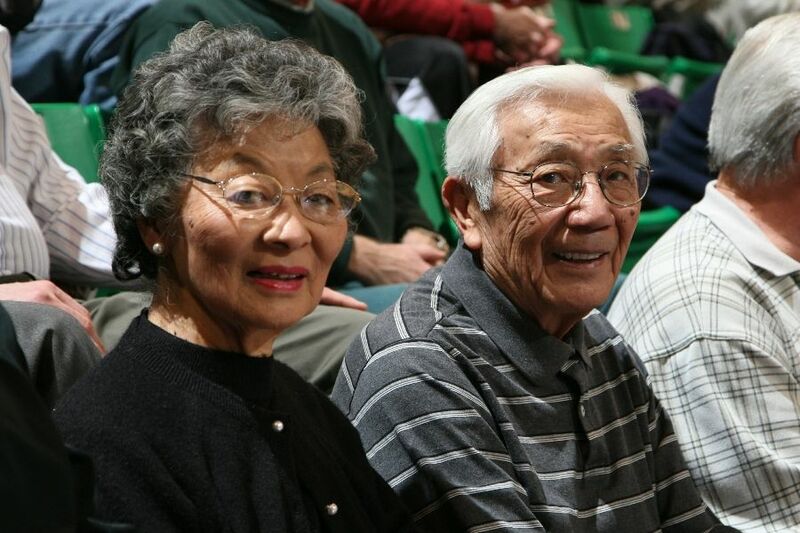 ** Wat Misaka (Utah native and the first Asian-American–and apparently first non-Caucasian–to play in the NBA, i.e. that title does not belong to Jeremy Lin) in the house. And they say there aren’t any minorities in Utah. Psh. ** Jerry, post-game: We had guys tonight probably trying to take more charges than we’ve had all year long. I was happy with that, because we sometimes don’t protect the basket. ** Boler: Millsap, hammered from behind! ** Boler: DWill, using that big body, up and in! ** Matty: I like it when Andrei gets down low. He’s so long, he can really do some damage down there. It was even better in person. I don’t know if we’re all so used to the slow starts and dunkaphobia — but when AK pulled that, we didn’t so much as cheer but let out a collective “Holy freaking crap!” It was like we could all tell that this game was going to be different. You have obviously not been briefed as to what a minority is in the USA! It was nice to have a game played with some effort again. Lets hope tomorrow they do the same. Just way too funny right there!